UN: Humanity speeding down "unsustainable path"
(CBS/AP) RIO DE JANEIRO - A United Nations report warns that the earth's environmental systems "are being pushed towards their biophysical limits" and that sudden, irreversible and potentially catastrophic changes are looming. The UN's Environment Program says that climate change, the depletion of the ozone layer, plummeting fish stocks and the mass extinction of animals are among the most worrisome environmental threats. "The world continues to speed down an unsustainable path despite over 500 internationally agreed goals and objectives to support the sustainable management of the environment and improve human wellbeing," a press release for the report states. The 525-page report released Wednesday said little or no progress has been made in recent years toward meeting international targets for reducing environmental destruction. The report calls on policymakers to take urgent action. Achim Steiner is the UN program's head and he says the UN's mega-conference on sustainable development to be held in Rio de Janeiro this month would be the ideal forum to take the steps needed to prevent an environmental catastrophe. "If humanity does not urgently change its ways, several critical thresholds may be exceeded, beyond which abrupt and generally irreversible changes to the life-support functions of the planet could occur," a press release on the report states. Under current models, greenhouse gas emissions could double over the next 50 years, leading to rise in global temperature of 3 degrees Celsius or more by the end of the century. Indoor air pollution from particulate matter is responsible for nearly 2 million premature deaths annually - including 900,000 deaths in children under the age of five. Outdoor particulate matter may be responsible for around 3.7 million deaths annually. Though catches more than quadrupled from the early 1950s to the mid-1990s, they have stabilized or diminished since then - despite increased fishing. In 2000, catches could have been 7-36 percent higher were it not for stock depletion. This translated into economic losses to the value of $4-36 billion. 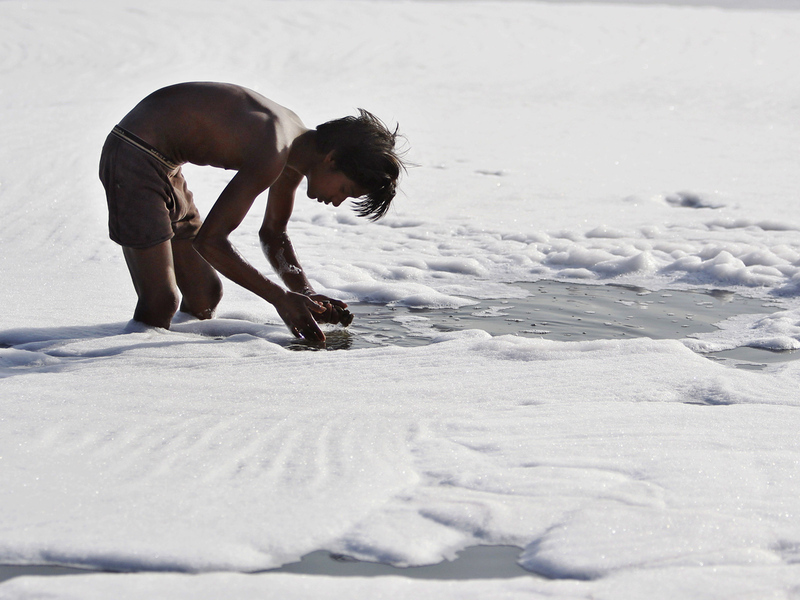 Water quality in at least parts of most major river systems still fails to meet World Health Organization (standards. By 2030, an estimated $9-11 billion will be spent annually on additional infrastructure to provide sufficient quantities of water, especially in developing countries.